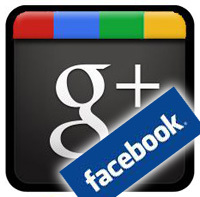 “Google+’s biggest accomplishment is improving Facebook itself.”, according to an article on The Huffington Post. I have to disagree with +Craig Kanalley, Google+’s biggest accomplishment (so far) is that in less than three months it has scared the social networking behemoth Facebook into opening up. 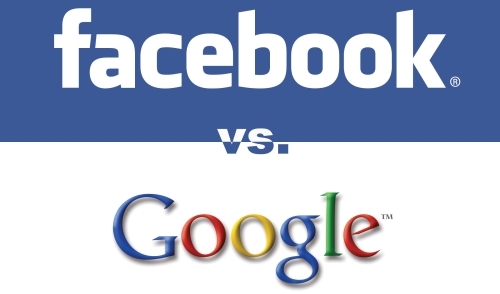 The conclusion to The Huffington Post’s article Google’s Uphill Battle With Facebook Just Got Steeper is that Facebook has won ’round one’ because of three “critical mistakes” made by Google during launch, and by quicklycopying implementing the good features of Google+. I think the critique of the service so far is fair game, but I don’t see any of those as “critical” mistakes. While Google could have done a better job of handling each of the items listed above, none are critical in the sense that they’re going to turn Google+ into the previous social media train-wreck named Buzz. Yes, Google should have stated right away that brands/publishers/etc weren’t allowed to create accounts. The suggested user list was launched before they had enough data to create relevant suggested users (let’s be honest, Google HAS enough data, they just don’t have the algorithm put together to create relevant suggestions… yet). Neither of those are massive missteps for a service in public beta though. The real names controversy could be interesting to watch play out. When Facebook first launched I used a handle I’d been using since the dial up BBS days; I wasn’t comfortable using my real name. However, I quickly realized that using my real name brought with it faster social connections on the site, and I’ve since used my real name for most social networking services. I very much understand the argument for anonymity on the Internet, and I’m not sure I understand Google’s heavy hand policy against it (for the record, my cat has a Facebook account: something he cannot do on Google+). For most of us I think we could just go hang out at 4chan or Reddit if we want to be anonymous. For those who claim that Twitter was the primary reason governments in the Middle East fell, and that it couldn’t have happened if real names were required, I suggest you go read 5 Reasons Twitter Isn’t Actually Overthrowing Governments on Cracked or Fareed Zakaria’s Why There’s No Turning Back in the Middle East in Time Magazine. Let’s move on to the improvements Facebook has implemented. It has quite been impressive to watch Facebook respond so rapidly to Google+. Hangouts made a big splash when Google+ launched. It didn’t matter how much they were being used, video chat had sizzle and Facebook was quick to respond with VideoCalling. A quick response, but it didn’t really bring feature parity since Hangouts allow 10 people to be on simultaneously, whereas VideoCalling on Facebook is 1-to-1. Moving beyond the pizzazz of video calls is what most early adopters of Google+ called it’s break out feature: Circles. Circles provided a drag-and-drop interface for grouping your contacts into whatever categories you wanted. The real power of Circles was that it made targeting posts to a specific audience dead simple. Facebook of course has had something similar for a long time, but it was buried in the interface and clunky to use (you’re friends really aren’t jerks, they just don’t know how to stop posting all those Farmville updates to your wall and they need the other Farmville players to see them!). Again, Facebook responded with their recently announced ”smart lists“. With the wealth of “Likes” they have on users I bet their suggestions and auto-categorizing will be something Google envies and will soon have to copy to bring it up to the level that Facebook will offer. Finally, but most important of all, the Subscribe button has been announced. Just like Google+, Facebook is taking a page out of the Twitter playbook and allowing users to follow without being friends. Facebook has always had the ability to make posts public, but the reality is that most people only wanted their friends to see their posts. Facebook users migrated from the one time social king MySpace (thank goodness! those MySpace templates made my eyes bleed). MySpace was a “Place for Friends” after all, and we all made the leap to Facebook with that mentality. Google’s biggest problem with Facebook being a social juggernaut is not social network envy, it’s that Facebook is a walled garden. Almost all of the data flowing in to Facebook stays there. That flies directly in the face of Google’s mission statement ”… to organize the world‘s information and make it universally accessible and useful.” You can’t organize what you can’t see. Based on the Subscribe button alone I’d argue that Facebook is not coming away from the first months of this battle a big winner, but with the first chink in it’s armor. Google+ might never attain the volume of users as Facebook (I wonder how many of those 700 million accounts are cats… and if my cat can friend them? ); and that really won’t matter. Don’t get me wrong, Google is very committed this time around. Many of their properties are already aligning to the Google+ design. YouTube, chat, and maps are integrating with Google+; I’m sure there’s more integration to come. The +1 button WILL be as powerful a force on the net as the ubiquitous Like button, if for no other reason than the fact that Google is still the king of search and it’ll play into the index. Google’s biggest accomplishment is that in less than three months it created enough of a stir that Facebook implemented features that will eventually encourage more public posts. To Facebook’s credit they’ve done it right, the Subscribe button is opt-in (for the time being) and they’ve built some nice controls so that the subscribing user can choose what they want to see. That doesn’t negate the fact that they’re providing an incentive for users to begin posting more publicly… and those posts won’t just exist on their friends ‘Wall’. Those posts will exist on the open, indexable Internet. First we’ll see celebrities who want to share without having a profile AND a brand page. Next, because I’m sure the sheer size of Facebook plays into SEO… brands, bands, and bloggers will start publishing their links through Facebook even more than they do now. Because people can subscribe without being their Friend, this loosens the social tie that currently exists on Facebook. This of course is awesome for celebs, brands, bands, and bloggers… Facebook commands a lot of traffic and this gets their content in front of more people. It will also serve to open up Facebook and loosen some of the power it currently holds…. users content. Will the Subscribe button unseat Facebook’s dominance? Not on it’s own, but that’s not the point. As soon as the shift toward more public posts on Facebook beings to take place, then Google has what itreally wants: searchable content. I say round one goes to Google. Craig closes his article by saying, “If there’s one thing that’s certain: the user wins. Social networks get better. And that trend will only continue in the months and years ahead.” We’ve made similar statements in the past. Competition between these two giants will lead to a better experience for users of social networks, regardless of which platform they are use.